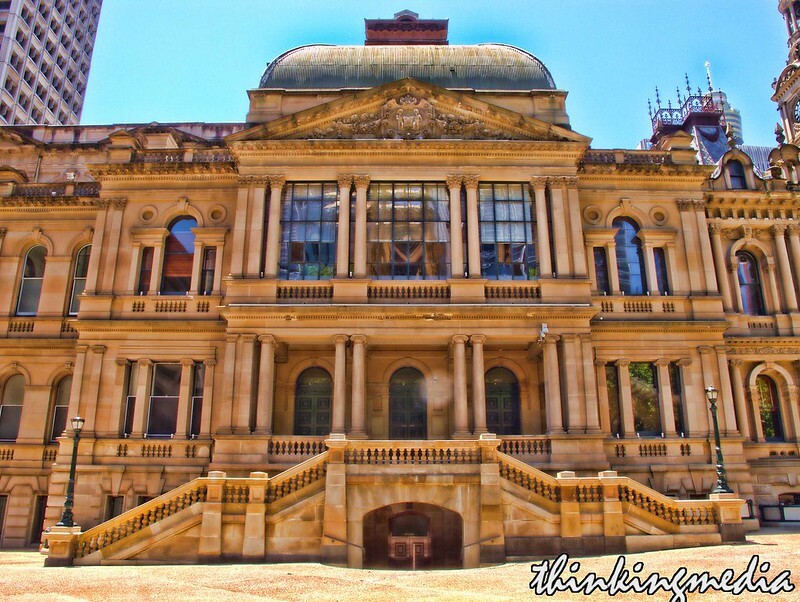 Town Hall, the seat of local government of the City of Sydney. This building was built in stages between 1869 and 1889 on the site of what was known as the Old Burial Ground. Between 1792 and its closure in 1820, about 2,000 people were buried here.Many of the burials were shallow and people used to complain about the stench. According to the official records, the Burial Ground was closed because it was offensive to the inhabitants. Before the Town Hall was built the bodies were supposedly exhumed, but even today whenever there is digging in the area a stray skeleton is likely to turn up. Image published by Sydney Heritage on 2012-01-02 10:23:28 and used under Creative Commons license.